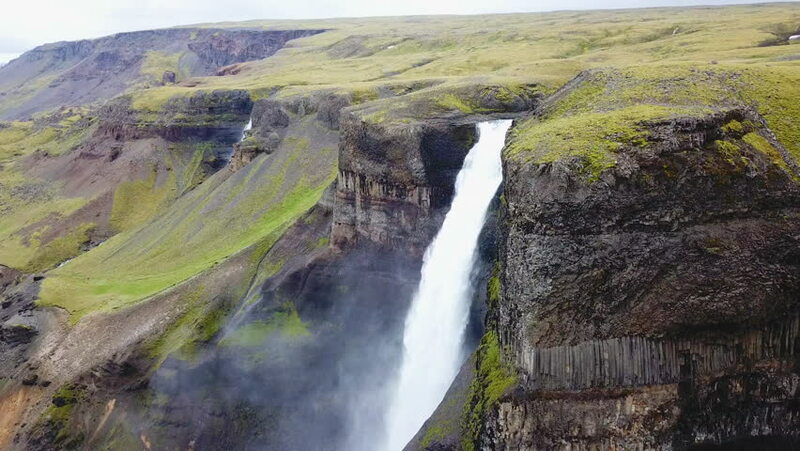 4k00:14Picturesque landscape of a mountain waterfall and traditional nature of Iceland. 4K Time Lapse Footage. 4k00:17This shot moves forward over a bluff, opening to the fjord below. Breaking-waves and coastline give way to the sea and clouds looking north to the arctic. hd00:17View of the gorge with a waterfall among the mountains in the summer. Andreev.